Just awhile ago, I sent my BF the disheartening photos of what the fighting pitbulls of Cavite had to go through before being rescued. He told me he can't bear going through the photos, it was too sad and that he might not get a good night's sleep thinking about the pictures. I apologize for the photo below, but, it's reality. "This boy is also so sweet considering he had so much injuries from the fight"
Anyway, I learned through Gale that PAWS Philippines need our help. 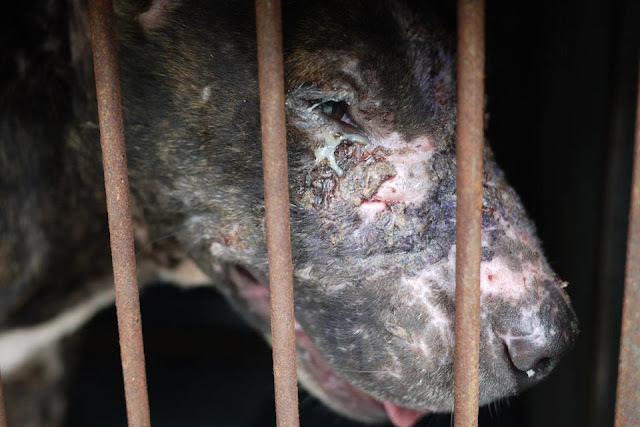 They are housing 40 of over 200 pitbulls rescued from the heartless dog enslavers. Only 73 were kept alive and these poor, emaciated mutts are cared for by different orgs. I'm definitely extending a hand to help out! For those who would like to help, you may drop off dog food, stainless steel bowls, plastic matting (to line bottom of cages), cleaning materials (deck brushes, walis tingting, detergent powder) and veterinary supplies (gloves, Zoletil, etc). 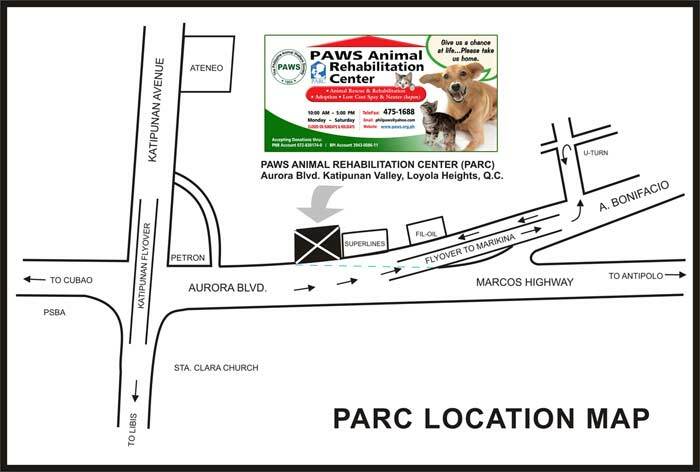 Donations may be dropped off at PARC, Aurora Blvd., Katipunan Valley , Loyola Heights. QC between the hours of 10am to 5pm. Quoting Gale, "kahit isang walis tingting ay makakatulong". It's also a nice idea to pool possible donations from those who have no means of dropping off items at PARC. I plan to donate goods instead of cash. Well, that's just me. I and the BF'll surely take a trip to PARC before the week ends. I plan to investigate on who the other orgs were that took the other poor pitbulls under their care. They might need more help than PAWS (PAWS being a more popular group) does. I'll let you know. I will send help too..
yep, the list zeroes in on stuff they really need. I just can't understand why many people feel this way to animals but not to fellow humans. Boxing, UFC and the likes are of the same thing. I feel for these animals especially for humans. Perhaps because these dogs never consented to becoming fighting dogs. And I hope no UFC fighter/boxer end up in an inhumane condition as THIS. bow.